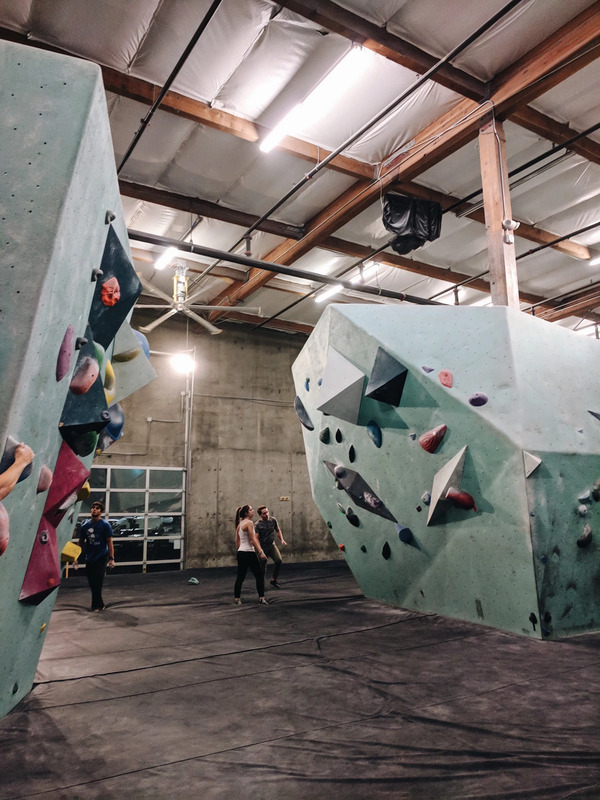 Yesterday Mike brought me to the Seattle Bouldering project in SODO. He's been doing this for about 8 weeks now and usually goes with his work team, but today I got to join and try it out for the first time. I have tried climbing walls before in Sweden but then I've always had the safety harness and had that to rely on if you would fall. With bouldering it's only you and your strength and if you fall, you fall haha. But most of the walls aren't super tall even though there are some, and the thick mat bellow really is soft to land on! One thing I really enjoyed was that you climb after color. So if you pick grey for example you only stick to grey until the top, and the colors also have different difficulties. Grey and yellow are for beginners, green and red is medium, and purple and black is super difficult. It creates a challenge and it was really fun to see how strong my body actually was. I did get pretty sore in my hands and in the end I had to stop because of that and not because I was tired, but the rest of the group said it usually gets better the more you do it, so hopefully next time I'll have better luck. 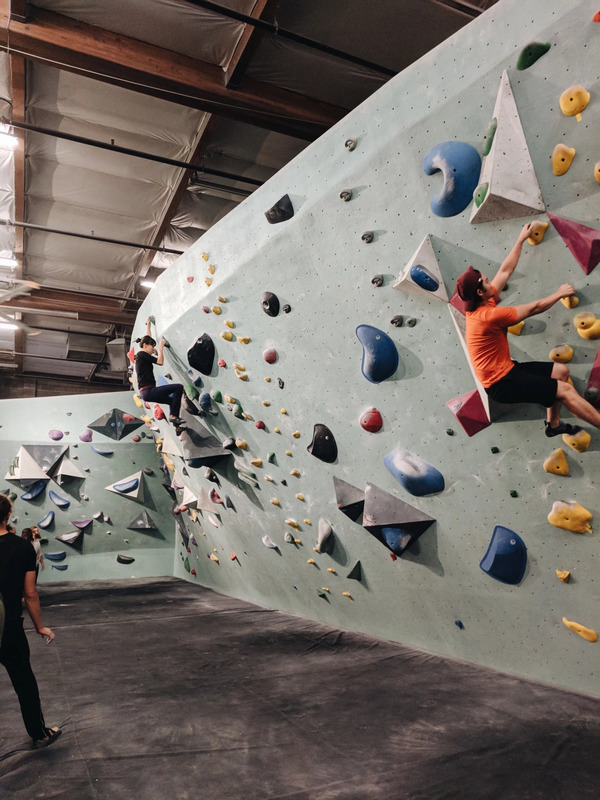 If you live in Seattle and also wanna go try it out, here is a link to their website!